Many people are finally taking a long hard look at their financial status and are looking for ways to improve it. They are making a commitment to stop buying things that they can’t afford and to live within their means. They also want to start saving more money for their future. Take a look at how an Internet savings account can help you save more money. First of all, why use an Internet savings account versus your regular bank account? The usual answer is that people think Internet savings accounts offer higher interest rates. You will need to do some comparison shopping to see if this is true. Interest rates change all the time. When you look online for a savings account you may see that some banks offer an introductory interest rate that is higher than the normal rate. What you want to find out is if this high rate will expire, and if so, when will it expire. How do they compare with your brick-and-mortar banks? How often will they change? Do you need to keep a minimum balance in the account at all times? Can you withdraw money from your online savings account through an ATM? When using an online-only bank to manage your money it is important to find out if you can apply for a loan from them if you ever need one. This includes a line of credit as well. Are there any fees associated with using their online savings account? If so, is there any way to avoid those fees? Are you limited to a specific number of free withdrawals per month or are they unlimited? To withdraw money from an Internet savings account, you typically need to transfer it to a traditional bank account first and then withdraw from there. When you do your comparison shopping, double check if that is how withdrawals work, and if so, how many days do the transfers take. How do they offer customer service? Through email or by phone? Phoning a customer service center is far more appealing than waiting for a response to an email, so take that into consideration when making your decision. 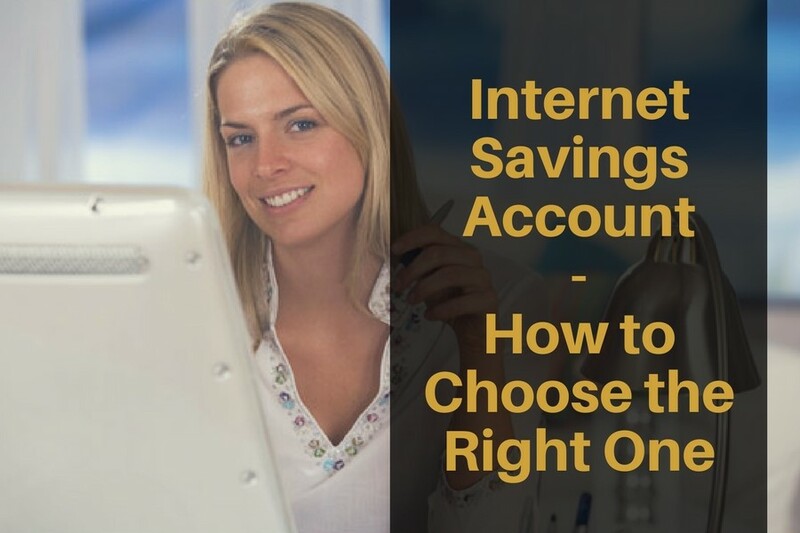 You can begin saving money right away by finding the right Internet savings account, especially if you find one that offers better interest rates than your traditional financial institution. Take the time to look online and do some comparison shopping before you setup any new accounts. NextWhat is Debt Consolidation, and How Can It Help You?